The season ending injury to Walcott combined with Bendtner’s knackered ankle means that Wenger will likely be forced into buying a striker in the January transfer window. 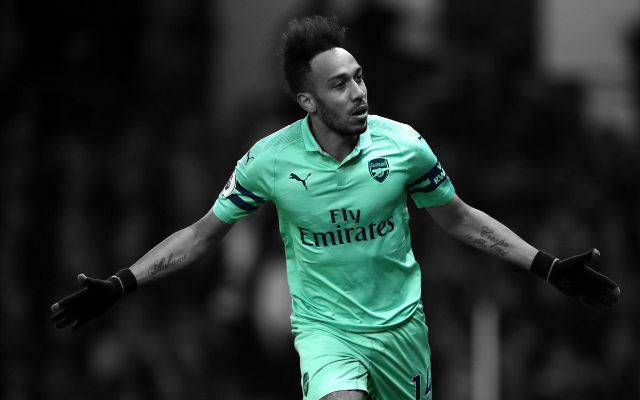 It’s unclear if he would prefer a temporary option (like Alvaro Morata on loan from Real Madrid or an ageing striker like Berbatov) or if he would prefer a player in his prime who can compete with Giroud for the starting spot. Wenger almost categorically refuses to pay more than he thinks a player is worth, so my hunch is he will look for a temporary option before trying to sign someone like Costa, Mandzukic, or Benzema in the summer. Key: A = Appearances, SB = Substitute appearances, G = Goals, S= Shots, SoT = Shots on Target, SpG = Shots per Goal, KP = Key Passes per game, AS = Assists, P %= % of Successful Passes, P = Passes per game, AW = Aerial duels won, DRB = Dribbles per game, D/TO = Dispossessed/Turn Overs per game. The players listed in the table above are a combination of world class strikers who would be unlikely to part with their clubs in January and players who I think could be realistically signed. This table is far from representative of the players Arsenal could end up with (Mitroglou, Chicharito, Morata, etc. are all just as likely) but I think it provides a decent sample of the type of player Wenger is interested in. Diego Costa and Mario Mandzukic are the type of striker that everyone is clamoring for the Wenger to sign; the type of striker who could score 25 goals a season with the likes of Ramsey, Cazorla, and Özil behind him and lead the Gunners to their first trophy in nine years. They’re both lethal finishers, but while Diego Costa is probably the best finisher in the world at the moment (his 3:1 shots-per-goal ratio and 64% SoT% are simply absurd), I would have to prefer Mandzukic. He’s the tallest player on the list (besides Giroud) and he’s very good in the air, even if he doesn’t attempt many aerial duels at Bayern. 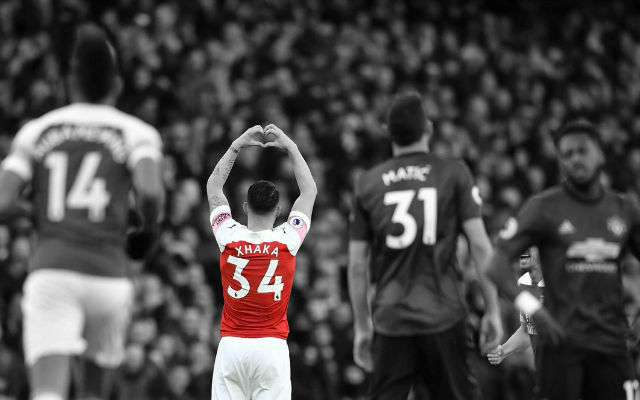 More importantly, he is incredible at pressing up the pitch and would bring the same sort of energy and drive that Rosicky possesses. 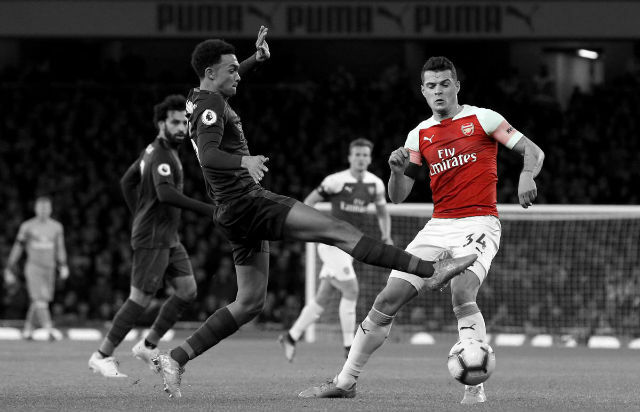 Costa, while a deadly finisher, isn’t good in the air and loses the ball far too often for someone who only completes one or two dribbles a game. He’s a pure finisher, and Wenger has made it clear that he prefers a striker who contributes more than just goals to the game. Berbatov has seemed the most likely permanent deal, and despite his age (Wenger rarely signs players over 30), I think he would be a good fit for Arsenal. His total goal tally is underwhelming, but he’s had a decent-if-not-great shots-per-goal ratio of 7:1 and is putting more than 50% of his shots on target, a very good number that suggests his shots-per-goal rate may improve if he plays for a better team. He also leads all players listed in passes per game, turns the ball over less often than anyone except Mandzukic, and is decent in the air for someone his size. Additionally, he brings the benefit of being used to the Premier League already and having won a Premier League title. The one concern for me are his low shot totals, and it’s hard to know if that’s due to a decline because of age or because Fulham have been really, really, truly awful so far this season. I’m inclined towards the latter, but it is worrisome that he’s shown such a big drop off in shots this season. If Wenger is looking for a cheap, short term option who offers something different from Giroud, Berbatov seems like a great choice if he’s really available for £2 million. Adrian Ramos and Vincent Aboubakar are the types of players I would expect Wenger to go for if he wants someone to replace Bendtner as backup/competition for Giroud for the foreseeable future. This wouldn’t prevent the Gunners from signing someone like Mandzukic or Costa in the summer, but it would mean they would probably have to get rid of Podolski in order to justify buying a third striker. Ramos has flown somewhat under the radar this season, an impressive feat for someone tied with Robert Lewandowski for most goals in the Bundesliga. His numbers from this season are superb: 4.3 shots-per-goal, 1.6 key passes per game, 111 won aerial duels, 3 dribbles a game, 74% passing, etc. Wenger has said it is hard to find a player like Giroud-and he’s right-but Ramos is about as close as you’ll come. 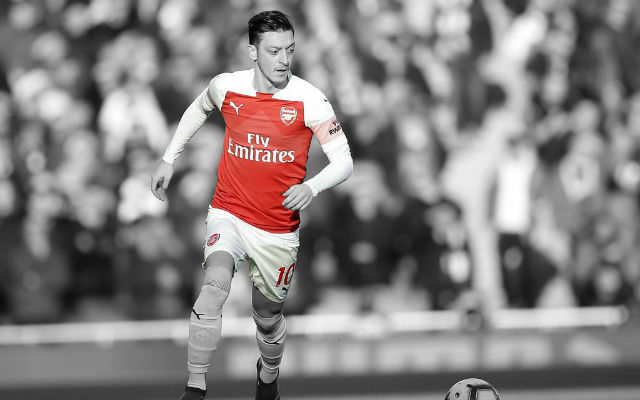 If he could continue this sort of form, he’d be brilliant for Arsenal. He’s good in the air for his size (and his winning percentage on aerial duels could easily rise if he’s at a club that doesn’t always play like West Ham), he dribbles extremely well for a striker, and he passes decently well for a target-man. The worry comes from his previous seasons in the Bundesliga, which have seen him score 6 goals on 71 shots and 10 goals on 61 shots. His shots-per-goal rate has fluctuated wildly over his career, and it’s hard to pinpoint how good of a finisher he actually is. His career rate is ~6 shots-per-goal, but that’s influenced by a couple seasons in the 2. Bundesliga, the second division in Germany. 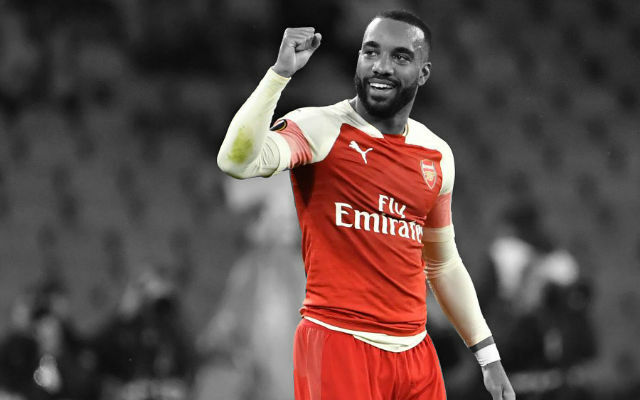 All in all, I think he’d be a good purchase if Arsenal could get him for less than £10 million, and he would be one of the best strikers in the league if he kept his current form up. Finally, Vincent Aboubakar is the type of player I think Wenger would turn to if he’s interested in a young striker who could both provide backup now but also push Giroud for a starting spot in the next couple of seasons. He’s a great finisher for his age (21), taking 4.5 shots-per-goal and putting 50% of his shots on target. He loses the ball quite often for someone who doesn’t dribble often, but he passes well and is decent in the air. I don’t see this type of transfer happening in January though, as Giroud will be around for a while, Walcott will still prefer that central role whenever he returns, and the likes of Yaya Sanogo and Chuba Akpom seem to be the youth strikers of choice at the moment. Wenger is notoriously tight-fisted in the winter transfer market, and while I think a fair amount of that is false public perception (after all, the list of January transfers in his career at Arsenal is hardly tiny), he does have a certain valuation of each player that he refuses to go above. 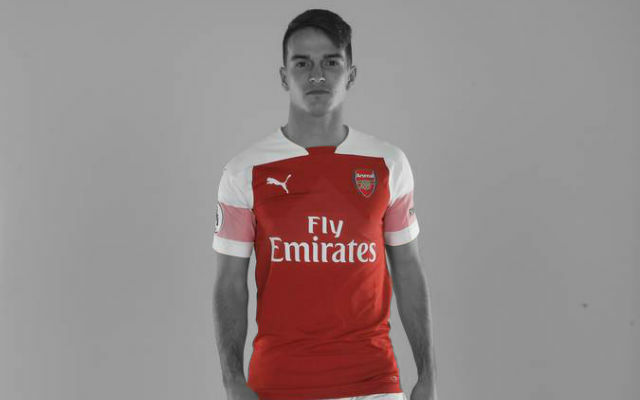 The most likely option is a short-term solution in the form of an ageing player who will accept a one or two year deal, or a player on loan from the some of the big international clubs. I feel as if Berbatov is a legitimate possibility, and I think Wenger would be interested in someone like Ramos if he was available for a reasonable price. However, I would be surprised if Arsenal shelled out the £30 million+ it would cost to get Costa or Mandzukic this transfer window. Then again, everyone was giving up on a big signing in the summer-and we all know how that turned out.